Ted opened the meeting at 16:15. Previous minutes were approved. Ted mentioned that he and Liam had visited the floral clock, now planted with the Scouting emblem. This is a concrete example of the work that we have accomplished together. Earlier in the day, members of the committee met with a representative of the St. Catharines Standards to inform them of the event. OEB International has created a media alert. The plan is to send it late July. 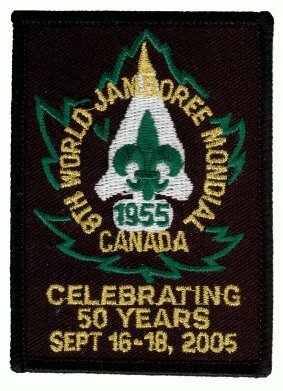 It was suggested that the Jamboree film could be shown on Cogeco TV, the local cable channel. Bill C. will contact them. Ted is working on getting CBC coverage of the event. The committee had met with the Lord Major of Niagara-on-the-Lake earlier in the day. He is very supportive and would like to be kept informed about the event. The Lord Mayor would like music at the Scout Brigade parade and suggested Lincoln and Welland Regimental Band. Ted will invite all counsellors to attend the unveiling ceremony. Tony read the speech to be given later that evening to the Niagara-on-the-Lake Council meeting. Tony is working with the Niagara Parks Commission and Scouts Canada, Niagara Area on the oak planting. He will share the VIP list with the Parks Commission. Committee members will attend the planting. Bill L. will contact a car club to attempt to locate a 1955 car for the parade. The CBC has granted permission to reproduce on CD their broadcasts about the Jamboree and have requested a 15¢ per copy royalty. The committee discussed bands that might be interested in participating in the parade. Bands included the Lincoln and Welland Regimental Band, Fort George Fife and Drum Corps., Burlington Teen Tour Band, the Ayr Band, and the Preston Scout House Band. The Scouts will Be Prepared for any weather. Hopefully funding will be available for marquees for dignitaries and participants. St. Andrew's Presbyterian Church has offered to cater the Saturday banquet for $18 per person. The Committee discussed who should emcee the unveiling ceremony. It was agreed that it is appropriate for the Chief Commission to do this. The ceremony needs to include some background so that the Scouts and others understand the importance of what is being commemorated. Registrations are slowly starting to trickle in. Liam will send a reminder and a registration deadline of late July will be set. Ted reminded everyone to complete their Scouts Canada registration. Ted reported that VIP invitations have been sent. So far, Kim Craitor, Rob Nicholson, and Ron Dale have accepted. The committee had a wonderful dinner with the Japanese visitors. The Jamboree had clearly touched the lives of the Japanese delegation from fifty years ago. It is an honour to be part of the commemoration.